An archive of reviews of the 2018 series of British science-fiction programme Doctor Who. It’s been another quiet week for TV, thanks to the Thanksgiving break. If you like anthology and true crime shows, particularly ones based on podcasts, you could have course have watched Dirty John (US: Bravo; UK: Netflix). I don’t, though, so I didn’t. Instead, I watched the rest of Narcos: Mexico. I also gave More4’s new German show, Schuld nach Ferdinand von Schirach (Shades of Guilt), a try and after mentioning it rather a long time ago, I finally made a start on El Ministerio del Tiempo (The Ministry of Time). I’ll be talking about all of them after the jump. Joining them will be the few regulars that didn’t take a Thanksgiving holiday: Black Lightning, DC’s Legends of Tomorrow, Doctor Who, and Titans. Despite Thanksgiving being just round the corner in the US – or maybe even because it’s nearly here – the airwaves and Internet had a bit more new to offer than last week. 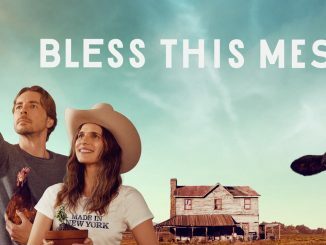 Elsewhere, I’ve reviewed YouTube Premium’s Origin and Netflix’s The Kominsky Method and Narcos: Mexico, but there have been a few other things. I don’t really bother with mini-series, but in case you do, HBO’s My Brilliant Friend and Showtime’s Escape at Dannemora both turned up this week. I’m still trying to watch Amazon’s Beat, but let’s just say that after an exciting title sequence, not only does the plot get a bit silly, everything’s a bit X-rated and commute-unfriendly, so I’ve not managed to get more than 10 minutes in. But I have managed to watch some Australian TV, too, so I’ll be looking at The Fighting Season and How To Stay Married after the jump. Another slow week this week. Only Amazon served up something new, which it hid very well: new German original Beat, which hopefully should be better than You Are Wanted. I was too busy watching Homecoming to start that so unless something better comes along this week, Beat will be getting the Boxset Monday treatment next week.